Horse and jockey walking to the top of the hill. 2015 Eliminations. When looking down from the top of the hill, horses and spectators look like dots, the water invites a quick swim on a hot day, and the sky is as blue as azure. In the staging area horses dance, their eyes and ears alert. Their hard muscles ripple in anticipation. Some rider-horse teams are quiet while others are as tight as a loaded spring. Riders get their mounts in position as their numbers are called. Horses dance and paw, seeming to know their next move is going to be as big a thrill to them as it is to those watching from below. Once the gun is fired horse’s lunge forward, drop off the hill, and plunge into the water. I sound I will always recall and yet have no words to describe. A thrusted swish hardly does it justice. 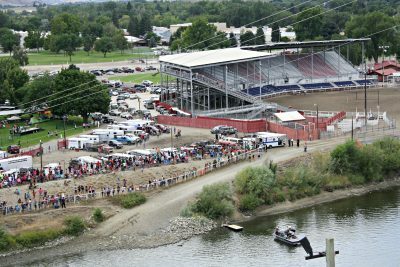 This is what’s behind the excitement of the World Famous Suicide Horse Race, WFSR, during the Omak Stampede in Washington State the second weekend of every August. 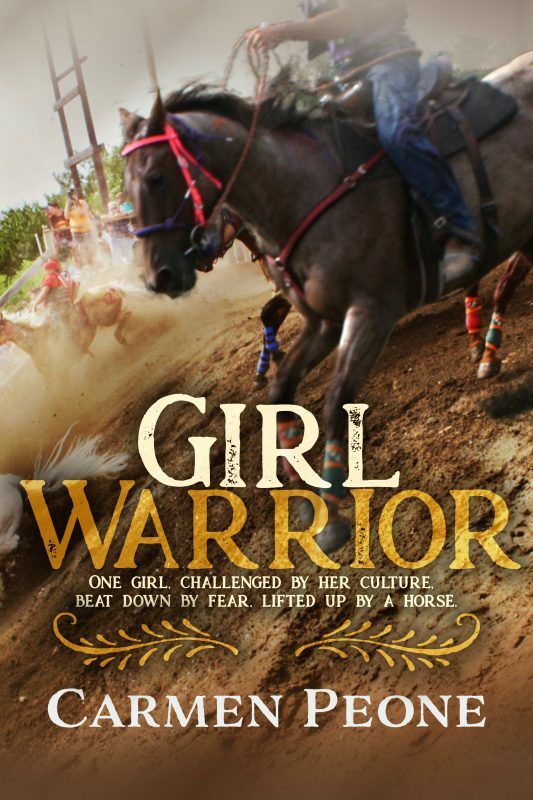 I had several questions for Girl Warrior when conducting research for the book in 2015 and was able to visit with jockeys and the owner of the 7-time champion, Taz. Look for more on Taz in the coming weeks. Omak Stampede Grounds from the top of the hill. Why is participating in this race so important? “Because it’s fun. Loren and Edward race.” A look of pride shined on Tarren Meusy’s face at the mention of his relations. Tarren was the inspiration behind the book, his first race being at age sixteen. Only I created a female jockey character, which in real life a handful have qualified but none have won. Seven-time champion Loren Marchand said, “It’s our tradition. Our heritage.” Loren had watched as a young boy and dreamed of racing down the hill one day. And one day, actually several days, that dream came true as he’s won the title “King of the Hill” seven times. What makes a good suicide horse? According to Jim Phillips, owner of 7-time winner Taz, a big-hearted horse is key. 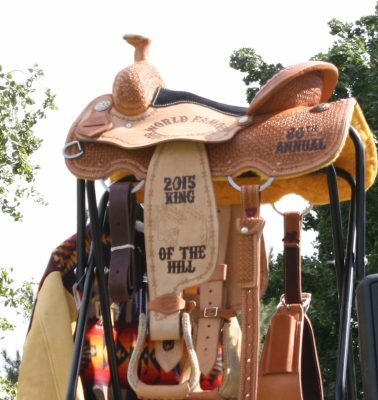 Loren Marchand, who rode Taz for his seven-year-winning streak, agrees, stating, “Heart and soul.” And heart is what that Quarter horse had plenty of. What does it feel like to crest the top of the hill? The qualifying age for jockeys used to be thirteen but the Owners and Jockey’s Association bumped up the age years ago to sixteen. “When you first break off the hill, you’re in survival mode, trying to see what’s in front of you. You don’t think,” said one jockey. “Night can be spooky.” Crickets chirp in a deafening chorus is the only sound one hears seconds before the starting gun sounds. How do you qualify for the race? Stephanie “Pete” Palmer, Past President of the Owner’s and Jockey’s Association stated that horses have continuous vet checks, a swim test, and a hill test, all of which must be passed. 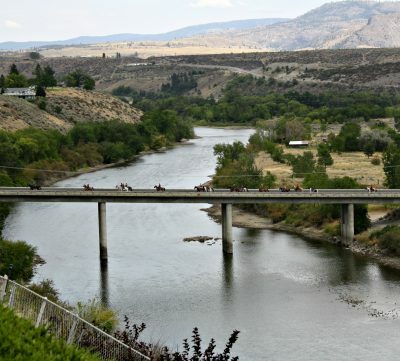 Every horse has to be willing to come off the 62-degree, 225-foot hill and swim the Okanogan River. If they refuse they are out because horses are never forced to compete. They have other chances to practice as well for safety reasons. Once the tests are passed, horse and rider teams have a chance to run and qualify. If the rider comes off the horse at any time, they are disqualified. 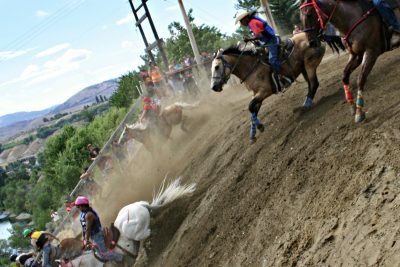 If there are more than twenty qualifications, there is one last race for eliminations prior to Omak Stampede and World Famous Suicide Race opening day. The horses must be at least eight years of age and if they are a first-timer, they can test and qualify with veteran horses to build their confidence. How does the rider train? What about Spiritual Beliefs? Most jockeys ninety days or more prior to the race gallop their horse. Many smudge and pray for self and horse and sometimes over the equipment. Horses are rubbed down daily, fed well, and cared for like a brother. Tarren Meusy: Ride, sweat, and smudge. Next time we’ll learn about Deb Condon and her experience qualifying for the WFSR in the early ’90s. Thank you for answering so many questions I’ve had about the suicide race. I appreciate seeing it through your eyes, and learning about what it means to the riders and t by e care taken for safety ( of horses and riders). Lo9king forward to Girl Warrior even mpre! Thank you, Tyson! Many do not realize how well these horses are taken care of and I aim to show it. These are truly war horses. We’ve attended this race. It is exciting. 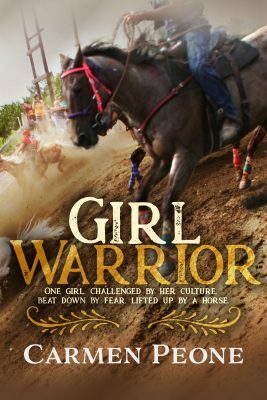 I think you’ve done a good job describing the excitement and tension, Carmen, both here on your blog and in your book Girl Warrior. Thank you, Mary. Not sure the written word can ever do the live experience justice, but I’ve done my best.